The University of Maine at Presque Isle and the Alumni Association have honored three alumni with awards of distinction this fall—the Distinguished Alumni Award and Distinguished Educator Award were presented on Saturday, Oct. 1 during the Inaugural UMPI Alumni Hour, held during Homecoming Weekend, and the newly-minted GOLD Award (Graduate Of the Last Decade) was presented in mid-September during the University’s Convocation activities. Alumna Anita M. Campbell was honored with the Distinguished Educator Award, which is presented to an alumnus/alumna who has received ongoing recognition as an outstanding educator. 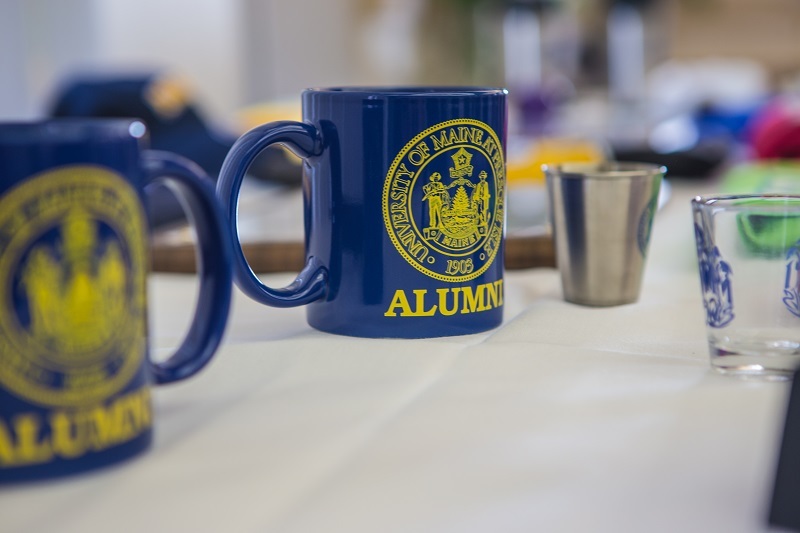 This recipient may also have shown active or supportive involvement with the Alumni Association, support of the University, a successful career that reflects well on the University, and outstanding leadership qualities. 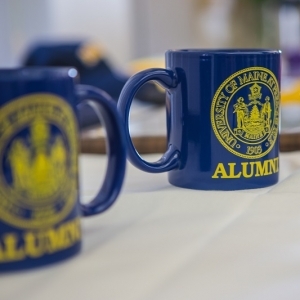 Alumna Jeannette Beckwith Morrill received the Distinguished Alumni Award, which is presented to an alumnus/alumna who has made long-term contributions to the Alumni Association or the University, or who has received professional recognition that has reflected positively on the University. In addition, alumna Colette Cormier was named the recipient of the University’s first GOLD Award, which recognizes an alumnus/alumna who has made important contributions in his or her career field and community, and who graduated from the University 10 or fewer years ago. Dr. Anita M. Campbell graduated from UMPI in 1969 with a Bachelor’s degree in Elementary Education. She went on to earn her Master’s degree in Counselor Education from the University of Southern Maine in 1983 and her Ed.D. in Educational Leadership from the University of Maine in 2003. Along the way, she served in a wide range of roles in the Maine education field, at the elementary, secondary and college levels. 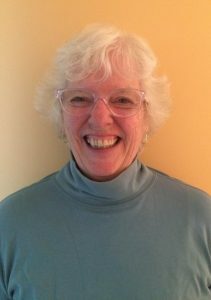 After graduating from UMPI, she worked as a teacher at the Island Paradise School in Honolulu for a year and then returned to Maine to serve as a teacher at the Morse Street School in Freeport from 1974-1983. She then served as a school counselor from 1983-1991 at the Great Falls School and Sherwood Heights School in Auburn. From 1990-1991, she stepped into her first roles as a public school administrator and an educator working at the college level when she served as the Co-Principal of Great Falls School and as the Counseling Supervisor at the University of Maine. She went on to serve as the Principal of several Auburn schools: Walton School in Auburn from 1991-1996, Sherwood Heights School and Lake Street School in Auburn from 1996-2000, and Auburn Middle School from 2000-2001. 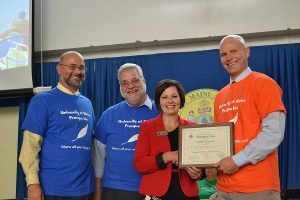 From 2000 to 2014, she has served in educational capacities at the University of Maine at Farmington—as Student Teacher Supervisor and Coordinator of Alternative Certification Initiative. Campbell has had an important impact on her community, the region and the State. She has served as the President of the Maine School Counselors’ Association, President of the Freeport Teachers’ Association, member of the Department of Health and Human Services mental health providers committee serving the needs of at-risk youth, and committee member of the Artisan’s Guild Project that supported a teen center for the purpose of providing disadvantaged youth with access to the arts. She also has served as a hospice volunteer and a volunteer for the Woman’s Wisdom Center, a support center for women in crisis, based in Lewiston. She also introduced and implemented the Child Study Team initiative in Auburn Schools, served as the school liaison to the St. Mary’s Hospital/Edward Little High School initiative, successfully implementing two student health centers in the Auburn schools, and served on the RISC (Re-inventing Schools Coalition) advisory committee for Gray-New Gloucester High School. “Anita has devoted her entire career to working with students, either at the K-12 level or at the University. Her dedication to helping students succeed is unmatched,” Barbara Eretzian, a longtime colleague, said in nominating Campbell. Also recognized was Jeannette Beckwith Morrill, who graduated from the University with a Bachelor’s degree in Physical Education in 1974. While at UMPI, she was a staple in women’s athletics, enjoying a career in volleyball, basketball and softball. After graduation, Morrill taught Physical Education and Health at Georges Valley High School in Thomaston and also coached field hockey, winning a regional championship. In 1977, she was diagnosed with Pulmonary Arterial Hypertension (high blood pressure in the arteries to the lungs; over time, the heart weakens and it eventually leads to heart failure) and, with no treatment and no cure, was told she had a life expectancy of no more than two years. Forced to retire from teaching due to disability, Morrill was limited to an electric wheelchair and 24-hour oxygen. In 1978, she was able to take a new experimental drug, which was successful and greatly improved her quality of life. She returned to teaching, this time at Greenville Middle/High School, as a health and physical education teacher and later an applied life skills and safety education teacher, where she taught everything from cooking and sewing to CPR and hunter safety, to camping and outdoor skills. 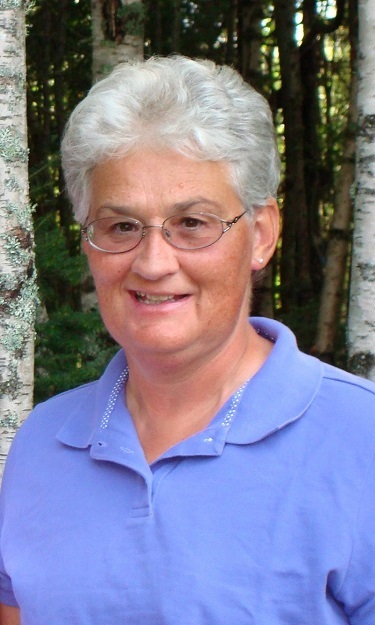 During those years, she coached middle school girls basketball, junior varsity girls basketball, varsity girls soccer (the team was an Eastern Maine Class D runner-up), and girls softball. In addition, she found many ways to serve her community. She taught American Heart Association CPR classes and was recognized with the Nancy Wynn Volunteer Award in 1985. She also served as an Emergency Medical Technician. In 1997, Morrill’s Pulmonary Arterial Hypertension stopped responding to the experimental drug she was taking and she once again had to take medical disability retirement. She became a dedicated advocate for others suffering from Pulmonary Hypertension. She has served as the keynote speaker at the Pulmonary Hypertension Association International Conference in Orlando in 2014, at the Pulmonary Hypertension Association of Canada Conference in Montreal in 2015, was a patient speaker at a Congressional Luncheon in 2009 and 2011, and has spoken at numerous PH educational forums nationwide. She published a book in June 2010 titled Living with Pulmonary Hypertension. In 2012, she was named the Outstanding Citizen of the Year by the Pulmonary Hypertension Association. She is also the founder of UPHill Journeys, which has a mission to support and sustain friends and neighbors in Maine and New Hampshire’s pulmonary hypertension community on their journey toward a cure. The organization is affiliated with Maine Medical Center in Portland. It has been nearly 40 years since Morrill was diagnosed with PH; she is believed to be the person in the U.S. to live the longest with the disease. Honored with the University’s first-ever GOLD award was Colette Cormier, who graduated from UMPI in 2007 with a Bachelor’s degree in Business with a concentration in Information Systems and a minor in Accounting. While at UMPI, she was involved in the Professional Business Leaders club, and was a founding member and served as President of Phi Eta Sigma – National Honor Society. She went on to earn her Master’s degree in Business Administration from Husson University in 2011. Cormier is a Certified Lean6 Green Belt and a Certified Financial Management Level 2. Cormier serves as the Accounts Payable Deputy Director at Defense Finance and Accounting Service (DFAS) in Limestone, which involves the overall management of more than 300 Accounting Operations personnel. During her time at DFAS, she has worked as an Accountant in the Leaders in Motion Program and as a Financial Supervisory Specialist over two separate divisions. Since her graduation, Cormier has made many contributions to her field and to her community. She founded a local chapter and served as the President of the Association of Government Accounts (AGA) Aroostook County, which involved recruiting 24 paying members needed to petition for a new chapter formation. The chapter marked its 10th anniversary in 2014. Cormier also volunteered as the Regional Coordinator of Membership and Early Careers of the North East Region. She also volunteered to serve as the adviser for a local school newspaper, which gave local students the opportunity to expand their interests and learn valuable skills. In addition, she has assisted with fundraising for the local animal shelter and helped to raise funds to purchase a new Meals on Wheels van for the Aroostook Area Agency on Aging.